A total of 554 entries were made in the 2015 World Series of Poker Circuit New Orleans $1,675 no-limit hold’em main event, blowing away the $500,000 guarantee to build a prize pool of $831,000. In the end Damjan Radanov emerged victorious, earning $147,514 and his first WSOP-C gold ring. In addition to the money and the hardware the 33-year-old was also awarded 840 Card Player Player of the Year points, enough to move him into a tie for 117th place in the overall POY standings. Formally from Serbia, Radanov now calls Memphis, TN home. He moved to the United States 11 years ago. 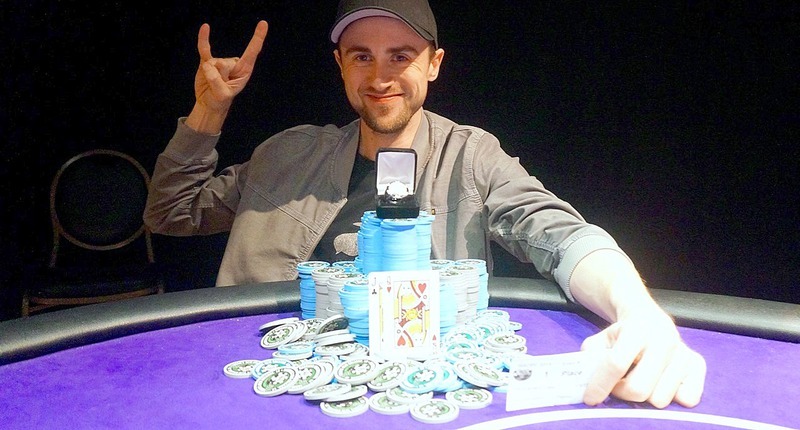 Radanov defeated four-time ring winner David Nicholson heads-up for the title.On the final hand Nicholson limped in for 80,000 from the button with the A 9 and Radanov moved all-in with the Q J . Nicholson made the call for his 2,175,000 stack and was ahead going into the flop. The first three cards came down as the J 6 5 to give Radanov the advantage. The 8 on the turn and the 4 on the river secured the pot for Radanov and sent Nicholson to the rail with $107,939 for his runner-up finish.